After a productive day of work, nothing beats knocking back a few drinks at the local bar with a couple of colleagues and friends to enjoy them with, and a nice relaxing night of conversation, work-related or otherwise. Unfortunately, classic and laid-back bars are few and far between in a metro that’s filled with crowded watering holes that play music on full blast, which are not entirely conducive for good conversation. 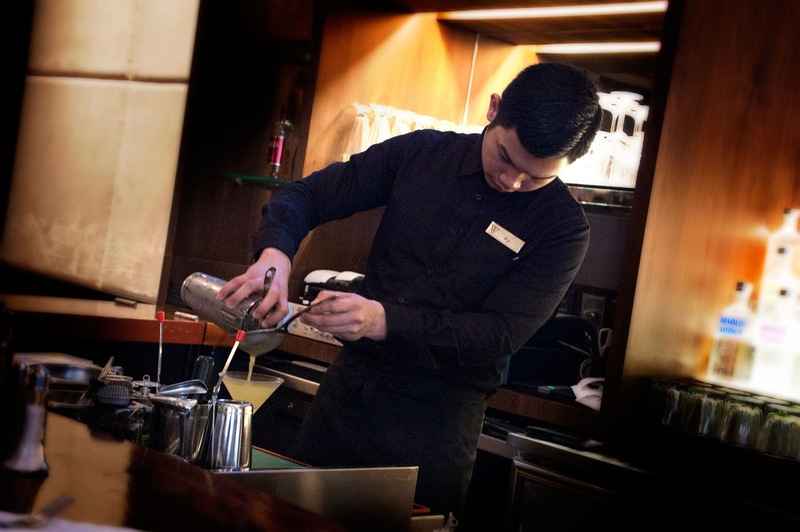 For those who crave a bar experience that is a bit more relaxed, conversation, and business- friendly, the Wolfgang’s Steakhouse bar in Resorts World Manila is ready to serve. 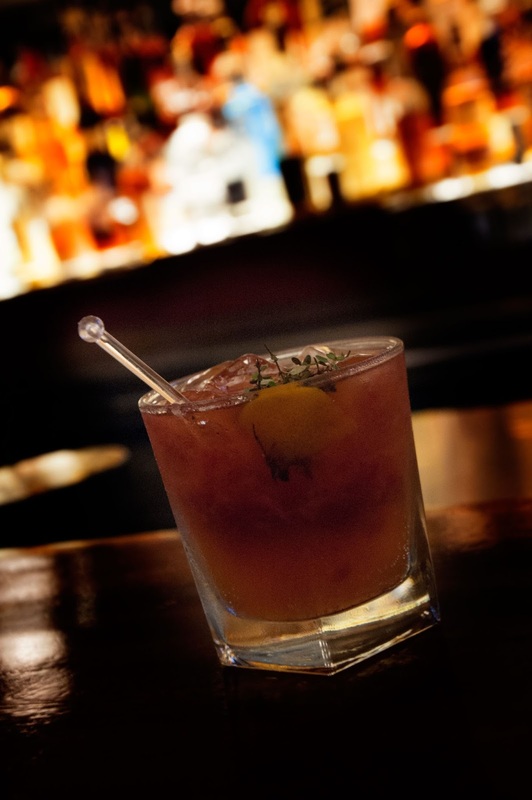 Wolfgang's Steakhouse is popular for having the best steak in New York but did you know that they whip great drinks too? The bar looked stylish and reminiscent of bars of that in New York and Chicago, with an extravagant display of liquor bottles afront a large mirror, looking out onto a classic-style bar with beautiful brown leather bar stools to complement the neutral-toned interior of the restaurant. At the launch, six new drinks were presented to the guests. Each drink has a unique spin to it, which makes for an interesting taste and feel. I'm the type of girl who only sticks to one type of drink and it's usually tequila based but for this night, I dared to try all. The drinks looked too good to pass up on. Just look at the photos below to see for yourself. 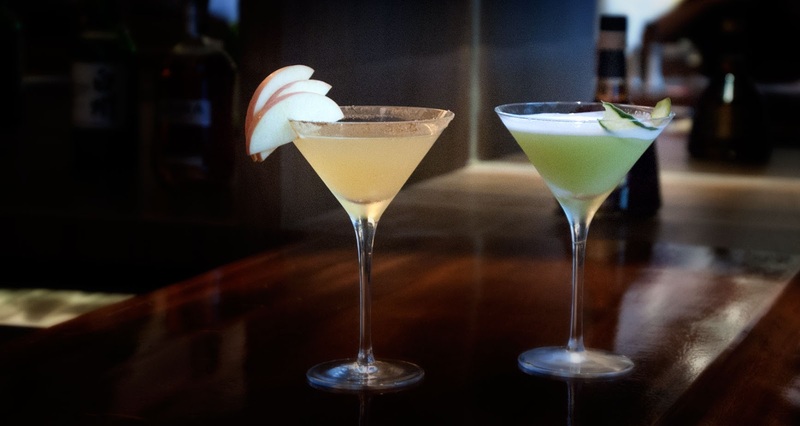 Newport Silk is a gin based drink mixed with cucumber juice, lemon, egg whites, and grander marnier. One sip and you'll feel refreshed. 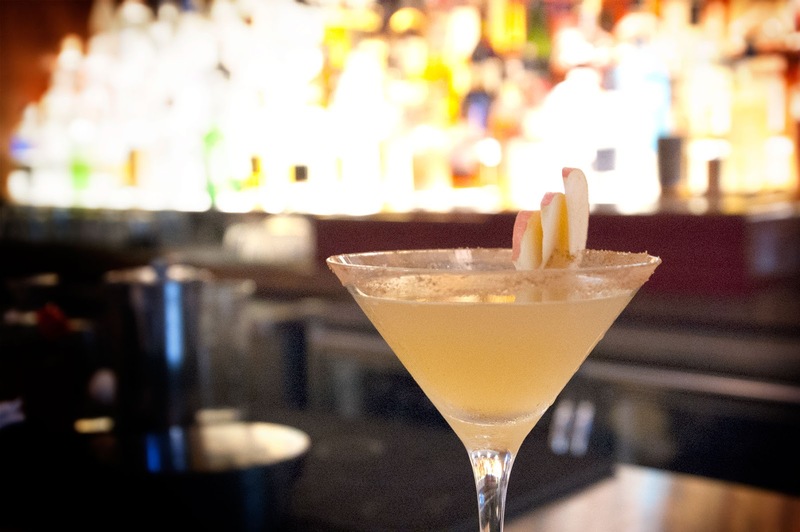 Apple Cider Margarita is a tequila based drink with a hint of apple, cinnamon syrup, apple cider vinegar, cointreau. This one is my favorite. 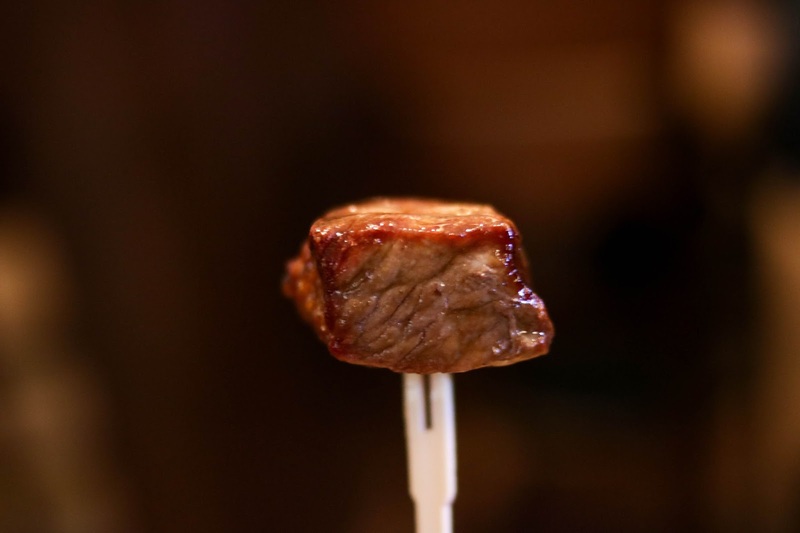 Wolfgang’s Steakhouse, which serves the best steak in Southeast Asia, has been operating in the country for a year. Since then, it has become the premiere destination for lavish steak dinners fit for even the most discerning world-traveler. 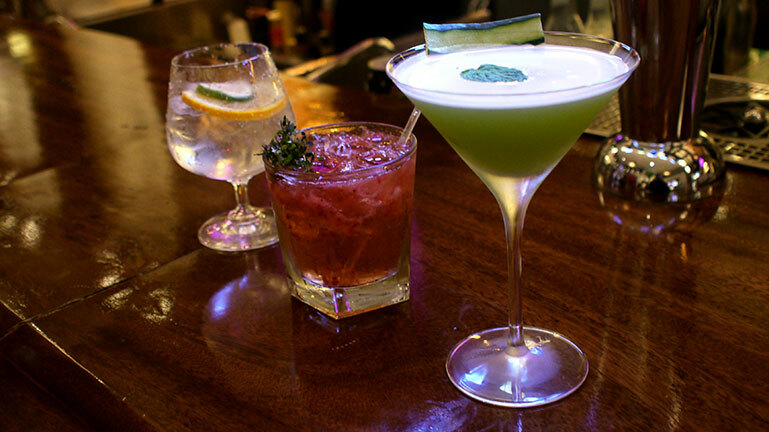 Of course, drinks are better enjoyed with food. 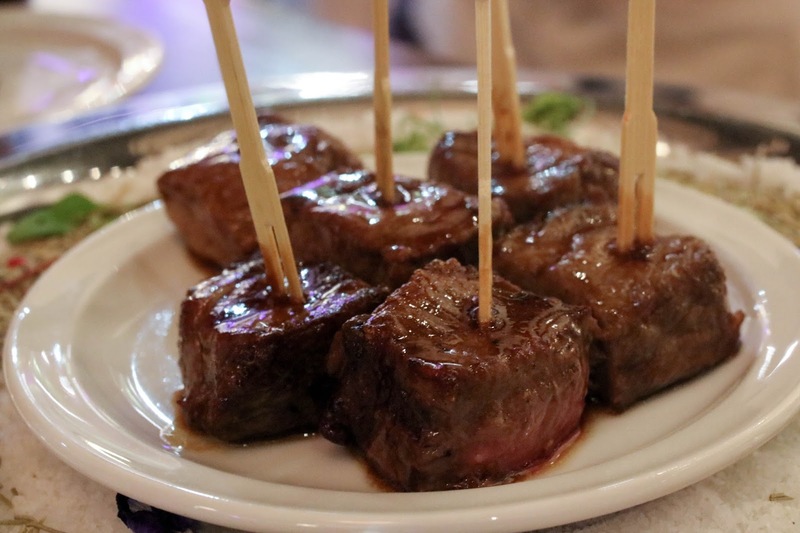 Wolfgang Steakhouse's steak kebabs are absolutely mouthwatering. That said, those looking for an authentic New York bar experience, or just a nice quiet place to drink, deal, and socialize, need not book plane tickets to the Big Apple. 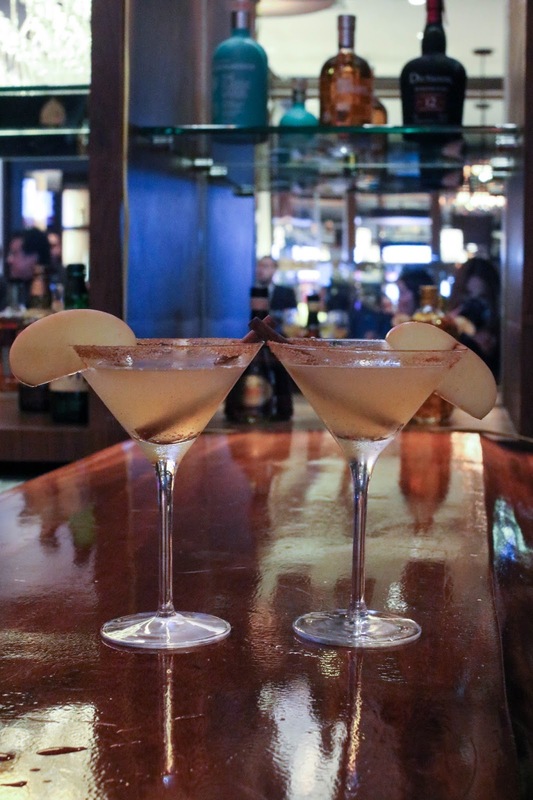 Wolfgang’s Steakhouse bar will bring that experience to you right here in the metro.